Let's try to agree on terminology from the very beginning. If such a term suits all of you, dear colleagues, then let's use it in the future. Farmers all over the world are looking for ways to improve the efficiency of agricultural production, increase yields, quality and marketable products. 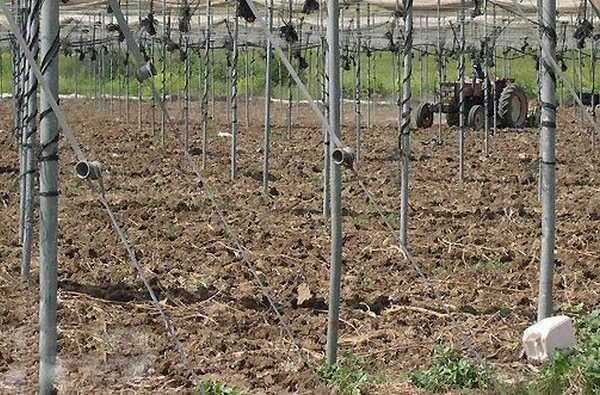 To grow vegetables in the old manner, in the open field, is currently ineffective. In classic greenhouses - expensive. 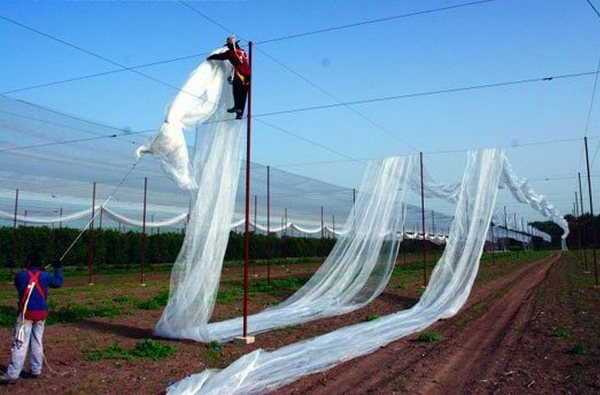 And then a new, unconventional, inexpensive and very effective direction appeared - growing vegetables in the open field, but covered with a special net. 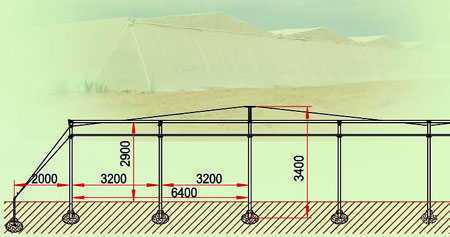 Such structures are simple, low-cost and have many advantages compared with other types of structures of protected soil. Growing vegetables in NethHouse allows you to achieve yields close to yields in conventional greenhouses, but as already mentioned, with construction costs a thousand times lower. They came to this technology in an evolutionary way, through growing vegetables in simple film greenhouses without heating. However, such greenhouses have a significant drawback. They overheat during hot summer days and the plants feel uncomfortable in them, to put it mildly. Arranging efficient ventilation in greenhouses is also not an easy task. 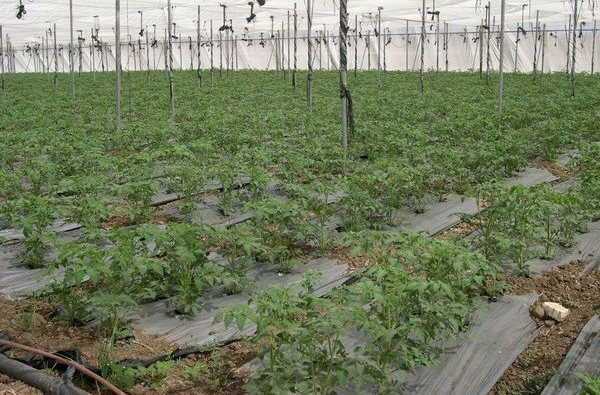 Replacing the film with a net made it possible to solve a number of problems and start growing vegetables on a completely different agrotechnical level with high yields and at minimal cost. Recently, NetHouse has become increasingly popular with farmers all over the world. 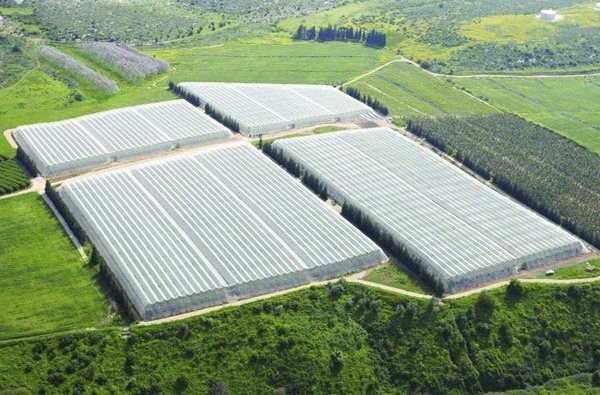 For example, in Israel, in this type of cultivation facilities, more than half of green vegetable products are grown. Oddly enough, NethHouse began to receive distribution and in more northern countries, for example, in the same Holland many hectares are closed with a grid and farmers are very pleased with this new type of cultivation facilities. What are the advantages of NachtHouse? NoHouse is the cheapest construction of protected ground that allows grow vegetables in the warm season using greenhouse technologies. 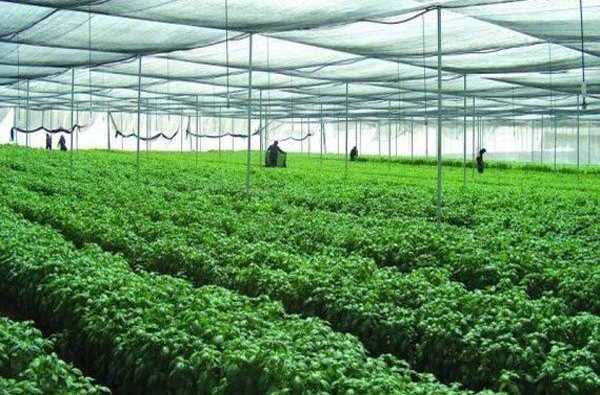 B Such structures provide for the vertical shaping of plants, allowing the use of highly productive greenhouse hybrids of vegetables and, accordingly, high yields when the yield per square meter at NethHouse approaches that of crops grown in difficult and greenhouse complexes. NoHouse allows you to reach a certain temperature stabilization during the day. During the daytime, the temperature at NotHouse is 3-6 degrees lower than outside, and at night it is 3-4 degrees higher than outside. Excellent ventilation of the whole greenhouse volume. Substantial savings in water and the cost of water distribution infrastructure per unit of cultivated products compared to irrigation systems for open ground. 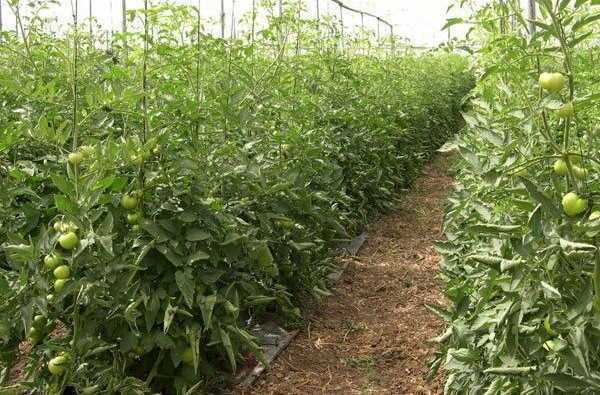 Growing a planned crop will require an average of 10 times smaller area than in open ground, respectively, reducing the cost of building the irrigation system, the cost of its operation and water consumption. Protection from rain, hail and protection from birds. 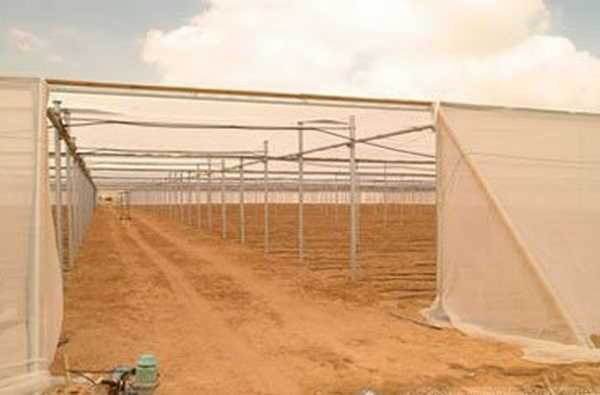 When using a phytoprotective net, protection against harmful pests and, accordingly, against diseases that they suffer. A sharp decrease in the cost of plant protection, the cost of purchasing pesticides and labor costs to make them. The possibility of growing organic and organic products. The content of pesticide residues in fruits is close to zero and products meet the most stringent environmental standards and requirements. NetHouse is a protected ground structure that has a metal, wooden or concrete frame, fastened with metal profiles,steel cables and covered with special synthetic mesh with a cell density of 40-50 threads per inch. 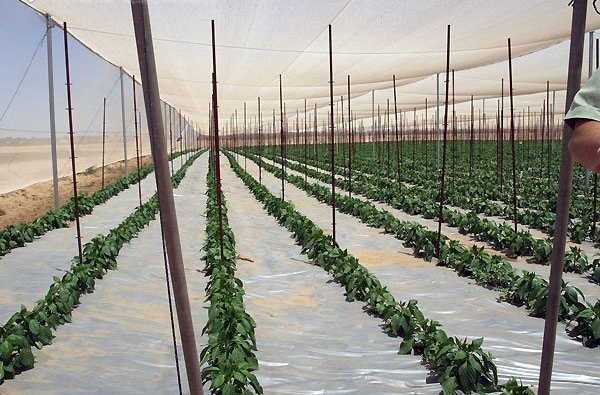 The design of the greenhouse provides for maximum sealing in order to prevent harmful insects from penetrating inside the structure, which provides for the most dense connection of the net of the grid at the joints and along the entire perimeter with the ground. The grid has a lifespan of at least 5 years. The roof structure can be flat or just like a house. 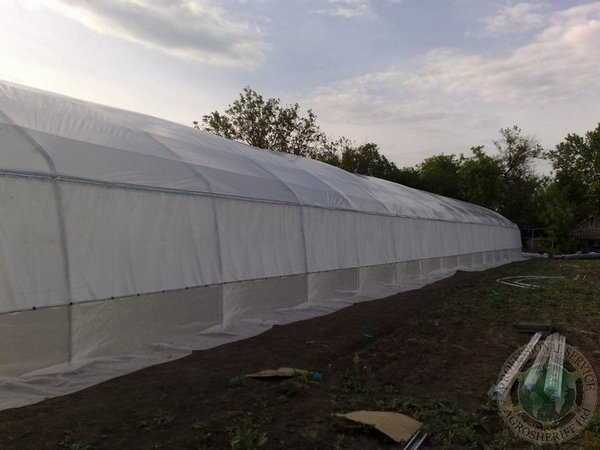 For midland conditions and for the southern regions, we recommend greenhouses with a roof with slopes, as in this case, NetHouse will work much better in case of heavy rains. This is a model of "House". The side walls at NetHouse are made sloping to reduce wind load and make the greenhouse airy. The grid along the walls is buried to a depth of 50-70 cm. A greenhouse is equipped with an entrance phytoprotective corridor with double doors for reliable protection against the entry of insects. Construction & NoHouse. Two types ofNoHouse. House and Flat. Nethouse is made up of metal pipes mounted on a lightweight concrete concrete foundation. The structure includes a frame made of galvanized metal or painted pipes connected in a certain way by steel galvanized cables. Racks or pillars can also be made of wood or reinforced concrete. ips and other insects. These insects are also the main carriers of viral infections, such as tobacco mosaic virus and other infections, as well as contribute to the defeat of plants fungal diseases. With insects, you can certainly fight with poisons, but then, the residual amounts of these poisons get into human food. 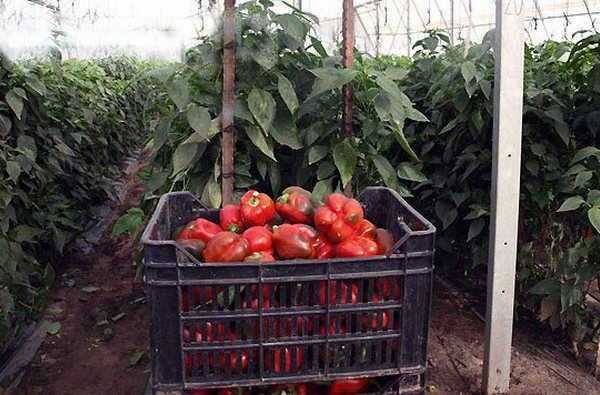 Therefore, it is easier to hide the plants under the net than to apply toxic chemicals later, and plants already damaged by viruses transmitted by insect pests can no longer be cured and such plants die, reducing their yield and economic efficiency. For the installation of such a structure does not require a large number of workers and the time spent on installation is small. Low metal consumption significantly reduces the cost, but you need to take into account the need to use high-quality metal. 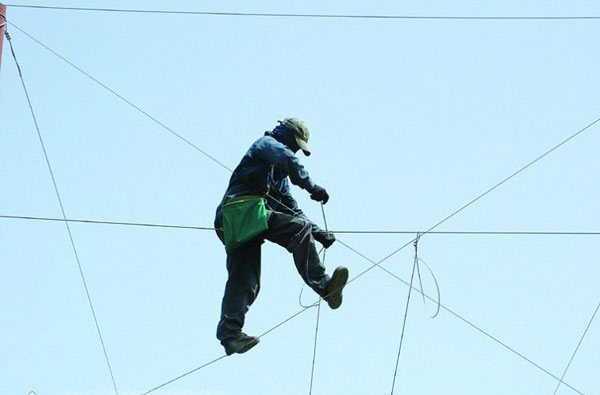 Particular attention should be paid to steel cables that provide durability, stability and reliability NethHouse. The use of NethHouse protects plants from the pests and problems they cause. A sharp decrease in plant damage by pests and diseases they carry greatly reduces, and in some cases, completely exempts from the use of pesticides and chemical treatments, which seriously reduces the cost of production and, which is very much appreciated in recent years, allows you to get environmentally friendly products. 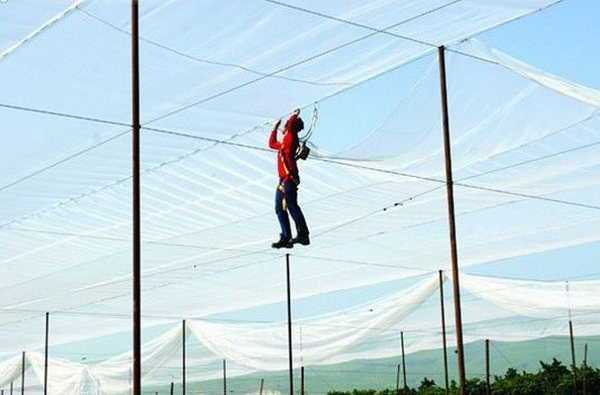 For the winter, the net can be removed, stored in a warehouse and installed in the spring, before planting the seedlings. 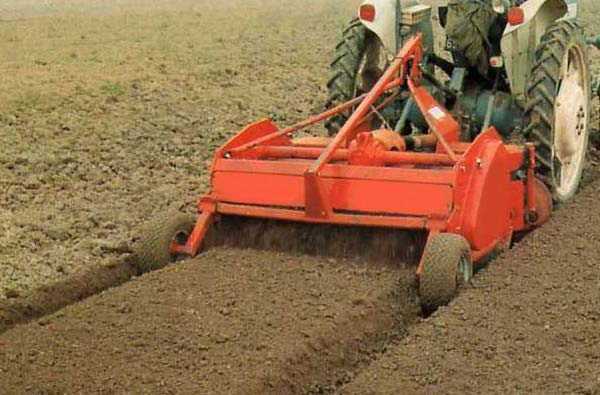 The soil is treated with conventional agricultural machinery. Plowing is done and then the soil is processed by a mill to obtain the optimal structure. The soil is plowed before winter and can pass through the winter cold, which contributes to its freezing and decontamination, and winter precipitation can create a decent supply of moisture in it. 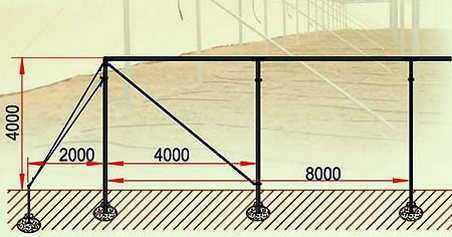 & Nbsp; The structure with the net removed is easily accessible for agricultural machinery, which also reduces costs. Cutting the frezoy ridge creates a well-aerated and uniform soil structure and optimal conditions for the root system of plants. We form ridges and cover them with a mulch film under which drip irrigation tubes are laid. This operation can be carried out both manually and mechanically. 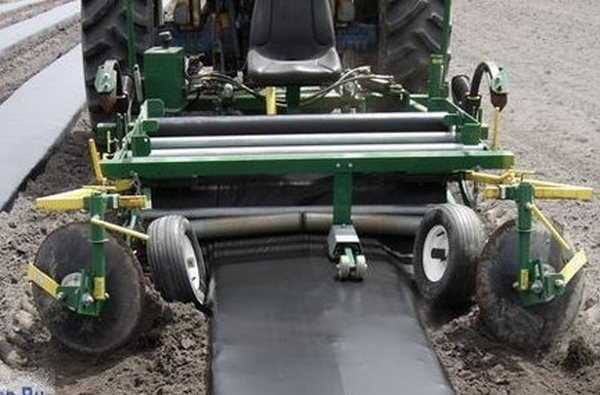 If special handlers are used, the drip tube and mulch film are laid in one pass without the use of manual labor. The mulch film stacks on the beds, but some farmers prefer to lay the mulch film on top. Now we don’t have to fight with weeds. After placing the mulch film, seedlings are planted. 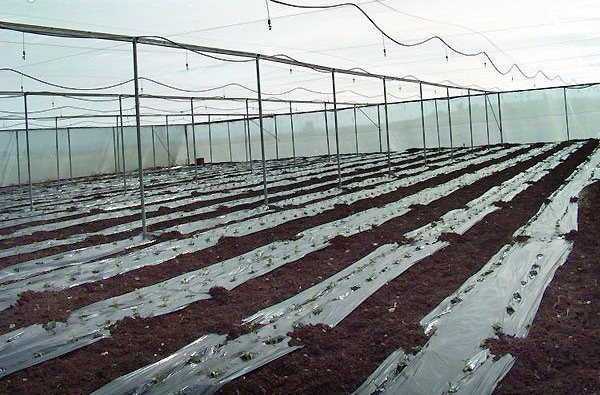 Vertical vegetable shaping is used, similar to greenhouse shaping. 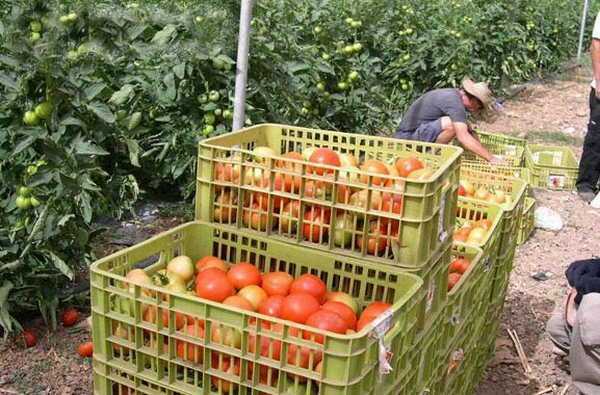 Crop that is grown in NetHouse is sold by higher prices, because the fruits grow in quality, without damage and what is very important - practically without chemicals. A significant part of such products grown in Israel is exported to Europe and sold as environmentally friendly vegetable products. Nethouse can be grown not only about wax Excellent yields are green, flowers, strawberries, medicinal herbs, and other plants. 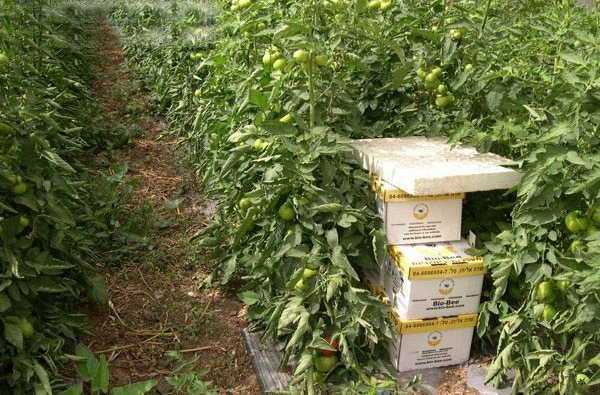 Because NetHouse is protected from insect infiltration, bumblebees or bees are used for pollination. For example, tomatoes, you can pollinate exclusively with bumblebees, and we recommend using bumblebees to pollinate any crops. Bumblebees are unpretentious, hardworking and give better pollination, due to the strong vibrations they create. The design and equipment of NethHouse is determined for each specific project in accordance with the requirements of agrotechnology, climatic conditions of a particular location NoHouse should be equipped with a drip irrigation system and, additionally, with a sprinkler system, which can reduce the temperature in summer by evaporative cooling and also maintain the air humidity at a given level. For optimal fertilizer feed, you need to use an accurate fertigation system the dosage of fertilizers, microelements and the maintenance of a given acidity of the nutrient solution. An automation system is an essential component that optimizes irrigation regime and other parameters. Lednev time for a complete renunciation of the use of pesticides is very actively introducing biological plant protection methods, which allows to obtain truly environmentally friendly products. Such a method, for example, is very effective in controlling ticks. Such simple and inexpensive agrotechnical solutions make it possible to make a truly revolutionary breakthrough in the production of agricultural products. Practice shows that 1 hectare of NetHouse is equivalent to about 10 hectares of open ground. This ratio characterizes the yield. But perhaps even more important is the fact that it is possible to obtain environmentally friendly products, with significantly lower costs of natural resources per kilogram of cultivated products. Quality. Vegetables grown at NethHouse are of very high quality as they do not have sunburn, rain or hail damage, insects or birds. They also significantly reduced or completely absent the residual content of pesticides, which preserves the health of the population. NetHouse is a very promising trend in modern agriculture and is gaining increasing popularity among farmers. Тази статия е публикувана на петък 17 декември, 2010. Споделете вашите преживявания или разкажете за вашия опит. Вашият опит и знания са много ценни за нас и нашите читатели.